Diane Dukette has orchestrated multiple campaigns ranging from $500,000 - $132,000,000, including the Caring for the Future Campaign at Cooley Dickinson Hospital $12.3M, the Breast Center Initiative $1.2M, The Campaign for the Mass General Cancer Center at Cooley Dickinson Hospital $11.4M, the Capital Campaign for the Expansion of the Sr. Caritas Cancer Center $11.8M, and Campaign UMass $132M. Diane is currently Chief Development Officer at Cooley Dickinson Health Care. Previous positions include vice president, fund development for the Sisters of Providence Health System, and assistant vice chancellor for advancement and executive director of development at the University of Massachusetts Amherst. Diane earned her bachelor’s degree at Smith College and her master’s degree in business administration from the Isenberg School of Management at the University of Massachusetts. She is a member of the Association for Healthcare Philanthropy and on the board of the Association for Fundraising Professionals of Western Massachusetts. 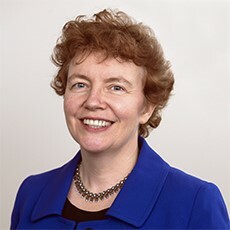 She has served on the boards of Women in Philanthropy of Western Massachusetts, the Alumnae Association of Smith College, and is a former Chair of the Board of Trustees for the West Springfield Public Library. Diane has presented for AFP International, AHP International, NEAHP, and AFP of Western Massachusetts. 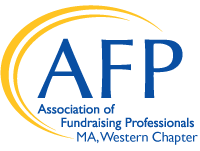 Diane is a recipient of the Outstanding Professional Fundraising Executive Award by the Association of Fundraising Professionals, Western Massachusetts Chapter.